Raumfahrt+Astronomie-Blog von CENAP - Blog: Luftfahrt - Die Zukunft der SR-72, als Mach 6 Angriff und Aufklärungsflugzeug. Lockheed Martin's Advanced Development Programs, or Skunk Works, discussed the future of the SR-72, a Mach 6 strike and reconnaissance aircraft. 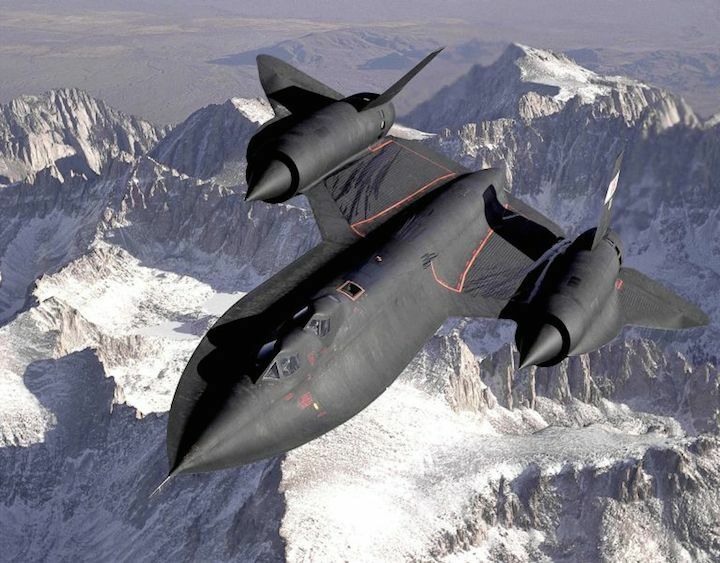 Lockheed Martin's Skunk Works recently divulged some information about the SR-72 program to build a successor to the iconic SR-71 Blackbird reconnaissance aircraft. The advanced aircraft development division of Lockheed Martin told Aviation Week that hypersonic technologies, including a combined cycle propulsion system that merges a supersonic jet engine with a rocket engine, have advanced to the point that work on the planned SR-72 can begin in earnest. On paper, the SR-72 will be a strike and reconnaissance aircraft capable of topping Mach 6. "We've been saying hypersonics is two years away for the last 20 years, but all I can say is the technology is mature and we, along with DARPA and the services, are working hard to get that capability into the hands of our warfighters as soon as possible," Rob Weiss, Lockheed Martin's executive vice president and general manager for Skunk Works, told Aviation Week. An SR-71B, the trainer version of the SR-71 Blackbird, over the Sierra Nevada Mountains in December 1994. The trainer includes a raised second cockpit for the instructor. 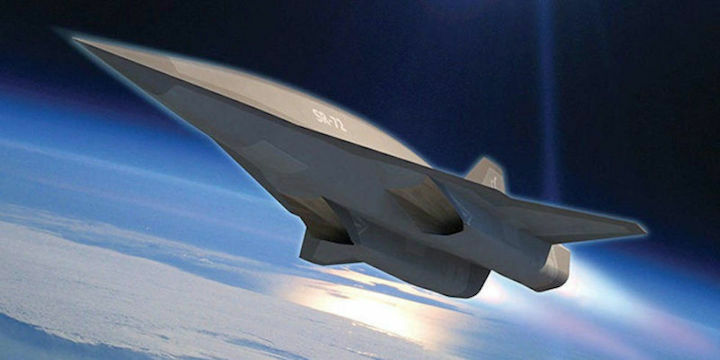 The Air Force and DARPA have been working on the early development of a hypersonic successor to the SR-71 since the early 2000s. In 2013, the USAF announced that it had begun design work on a scaled demonstrator of the SR-72. Since then, however, almost no details about the program have been released. Now Skunk Works has confirmed that ground tests on a combined cycle engine with elements of a scramjet and rocket engine were conducted from 2013 to 2017. Lockheed Martin partnered with Aerojet Rocketdyne to began work modifying an off-the-shelf turbine to build a combined cycle engine back in 2006. The advanced aircraft division also said that it was getting close to starting full scale development of a flight research vehicle (FRV) that could be piloted or operated remotely. This FRV is expected to be about the size of an F-22 and use a full combined cycle propulsion system, according to Aviation Week. Lockheed Martin optimistically plans to fly an FRV in the early 2020s. Following demonstrator flight testing, a full-scale twin-engine SR-72, about the same size as the SR-71, could achieve first flight before 2030. The SR-72 program has been under the hood for years, and details are still tantalizingly lacking. In the 2020s, however, we could finally see what Skunk Works has been up to for the past two decades.